– $1.99 Hood Country Creamer; $5.99 Clairol Nice & Easy Hair Color; and much more. To see the weekly circular for your favorite BigY store, search by ZIP Code or City, State. 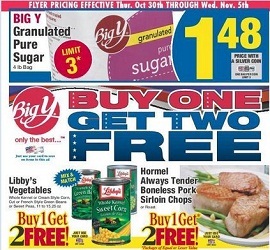 Check back often for new coupons, circulars and weekly ads. Some products may not be available in all stores and are subject to availability.